This one-story, hip-roofed house is three bays wide and double-pile with a gabled ell at the right rear (northwest). 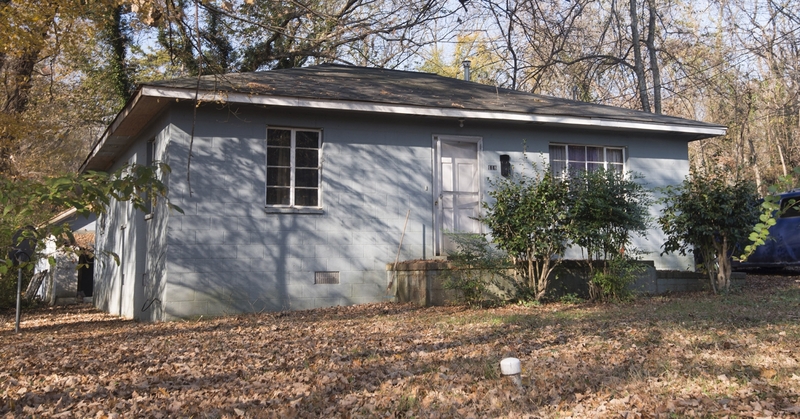 The house is of concrete-block construction with a painted concrete-block exterior, metal casement windows, and a six-panel door centered on the façade and accessed by an uncovered concrete stoop. A wide concrete-block chimney is located at the rear of the ell. County tax records date this building to 1957.